Lucy Kramer needs to get away for a few days. As if the stress of her mother’s decline into dementia isn’t enough, now a neighbor seems to be stalking her. The Ransom Oaks Ranch offers room to breathe and think, and Brandon Tennent’s quiet, sensitive nature draws her in almost immediately. But Brandon’s past mirrors all too closely that of Lucy’s alcoholic father, and while his feelings for Lucy are strong, he knows she could never trust him completely. No one can. When her stalker’s attentions take a sinister turn, can Brandon prove to Lucy and to himself that he’s not as unworthy as he believes? The familiarity of the place unsettled him. Brandon Tennent set his duffel bag just inside the front door and surveyed the great room, feeling for one chest-tightening moment as if he’d never been gone and nothing had changed. Hard as he tried to keep his attention focused on the evidence of remodeling in progress, his gaze nonetheless drifted to the corner in which the liquor cabinet stood. Only it didn’t stand there now. Nothing did. All the furniture had been pushed to the center and covered with drop cloths. Scaffolding soared to the ceiling fifteen feet above, and the walls gleamed with a clean, white coat of primer. Had to be primer because, given an option, his sister, Ashley, would never paint a wall white. And now, finally, she had a few options. The disconcerting current of familiarity tugged at him. So different was his new perspective, he hadn’t expected the ranch to feel much like home. He had a sense of pleasure at returning, and he’d lost sleep wondering if that might be the biggest challenge yet. Already he could feel a particular thirst growing—one that was unique to this place…this house. He’d talked through this scenario with his counselor. At some point the deeply entrenched habits formed here would exert their powerful force. But he hadn’t expected the pull to come within seconds of walking into the house. There was little chance of accessing the enshrouded liquor cabinet, and even less chance that it would still contain something to quench the constant thirst. Still…he lifted an edge of the canvas. It might be worth a look. But…no. He pulled his hand back, dropping the cloth like a hot wire. One hundred fourteen days. That’s how long he’d been sober. With the Lord’s help, tomorrow would be one hundred fifteen. “Brandon?” Ashley emerged from the kitchen and stood staring, her face clearly expressing shock. Four months had passed since she’d last seen him…since he’d left for the treatment facility in Dallas. Brandon glanced down at the new pair of dark trousers he wore, the crisp white shirt open at the collar, long sleeves rolled up to the elbows. He had taken up running as a way of coping with his drive to drink, channeling the energy that had once been used to find a way—any way—to satisfy the addiction into something at least beneficial, if not productive. He had run enough to shed about thirty pounds and transform his formerly soft flesh into lean, strong muscle. Her arms closed around him cautiously, tentatively, and an ache rose to his throat as he recalled their last embrace, a desperate farewell just before he’d walked out of this house on his way back to rehab. Would he make it more than two weeks this time? She must be wondering. She wasn’t the only one. He let her go, and she stepped back. Brandon nodded again. There was no longer any need for her to economize so strictly, now that Manuel was in charge of things. There was a lightness in her manner. Peace and security had lifted her burden, and the resulting joy was plain to see. All it took to achieve such a positive change was his departure. But now he was back, and what could he possibly offer? Manuel had come to Dallas to check on him a couple of months ago. During that visit Brandon had sworn to do whatever it took to atone for everything he’d done—for driving Manuel away with nothing so many years ago, for ruining the ranch financially as well as functionally, for not providing for the needs of his sister, for letting his addiction become the driving force behind everything he did. Better to live as a servant in his own father’s house than to sleep with the pigs. But he wasn’t the prodigal son. His father had been dead for nearly two decades. And Manuel wasn’t really his brother. Brandon had no rights here. But soon, when she and Manuel were married, Ashley would. The ranch would be hers. It should have been hers in the first place. The front door swung open, ushering in the cool, mid-morning breeze and filling the great room with even more light. Manuel crossed the room, caught Ashley in his arms and kissed her. “He looks pretty good, huh?” Manuel said, glancing at Brandon. “Are you up to riding out with me so I can show you what we’ve done and what we’ve got planned? Or do you need to settle in first?” Manuel asked. Brandon retrieved his duffel bag and turned for the hall that led to his room, but Ashley’s sudden laughter bounced off the bare walls and filled the room. Manuel had pulled her into his arms and nuzzled her neck while she scrunched up her shoulders against the playful onslaught. After a moment, she sighed and rested her head against his shoulder, seeming to relish the protection in his embrace. She was happy, and so was Manuel. Everything here was different now, and it wasn’t only the clean, white primer that brightened the atmosphere. Brandon knew he would never, no matter how hard he worked, ever deserve the second chance they both had given him. But he would try. Every day, from now on, he would do his best to be worthy of it. Question 1: In chapter one, Brandon senses that Lucy needs to control something about her situation. Why might she feel this way? Answer 1: Lucy might feel a need for control based on her experience with her father, whose out of control behavior devastated her life. She also feels the need for control because the man stalking her has taken control of her current circumstance. Question 2: In what ways can Brandon relate to Lucy's need for control? Answer 2: Brandon can relate to this need because his own addiction has had complete control of his behavior. Question 3: Throughout the story, Brandon feels as if he must earn the trust of Ashley and Manuel. Why does he feel this way? Answer 3: Brandon has spent most of his life letting people down--from not being "the son his father had hoped for," to being the addict that lost the family ranch. 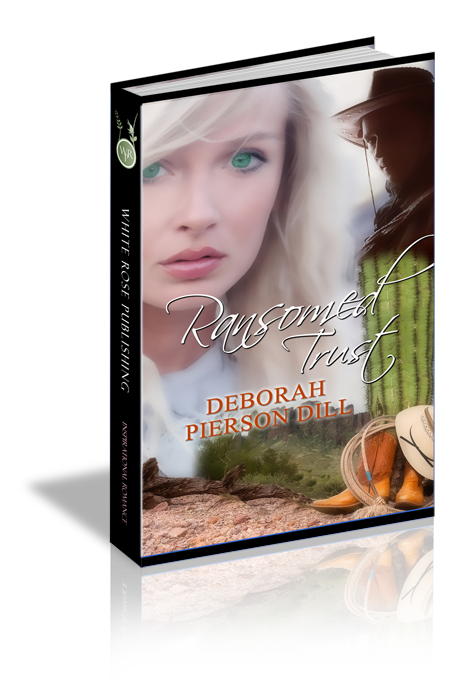 He's never been trustworthy, and so now he must work to earn the trust his sister and brother-in-law give freely. Question 4: 1 Corinthians 13:7 tells us that love always trusts. Are there any circumstances in which we, as Christians, would be justified in witholding trust from other brothers or sisters in Christ? Why or why not? Answer 4: It's natural for us to want to withold trust from those who have proven themselves untrustworthy. We don't want to knowingly expose ourselves to further injury. But openining ourselves to repeated injury is what Jesus talked about when he spoke of turning the other cheek. At some point, we have to be willing to risk injury in order to extend the love of Christ.